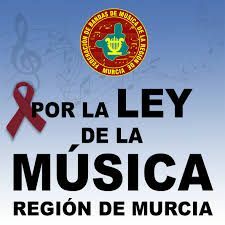 The great effort made by the Groupings and Musical Societies in the Region of Murcia to maintain and improve the Music Bands and Schools, is worth highlighting and taking into account. In times of crisis, cultural matters such as Music, are the great victims of cuts and lack of support from institutions that are trying to compensate with the voluntary and altruistic work of many people. Students, families, professionals and volunteers, maintain the municipal structures with many difficulties, with small support from town councils such as Totana, overwhelmed by debts and crises. The Musical Association of Totana and the Association of Friends of Music in Paretón, are clear examples of this effort to constantly improve, maintaining and improving the quality of their work and promoting the vocation for music that is greatly exceeded every day. But the increase in expenses, such as the necessary regularization of work in the Entities, puts them in a worrying situation to which the City Councils should not be oblivious. In the case of the Federation of Bands, they gather a group of more than 50,000 members, more than 10,000 students, with 4,500 musicians in the Music Bands and more than 300 teachers in the Region of Murcia. Data that give an idea of â€‹â€‹the entity and importance of this group. From the economic point of view and, the most important, Cultural and Artistic. For these reasons, Ganar Totana presents a motion for public recognition and appreciation of the work carried out in our municipality by the Musical Association of Totana and the Association of Friends of Music in the Paretón district, to urge the Regional Government and the Parliamentary Groups present in the Assembly for the immediate approval of the Law of Music in the Region of Murcia, with the corresponding budget and the Declaration of Intangible Cultural Interest (BIC) for the bands of Music in the Region of Murcia .